Commercial Window Treatments – Pinellas County – Largo, Clearwater, St Petersburg – Curtains, shades, blinds, shutters. Custom fabricated for a perfect fit. Window curtains, swags, cornice boards, draperies, mini blinds, verticals, roller shade, shutters, etc., manual or motorized. We handle jobs ranging in size from a single office window to treatments for every window in large buildings, even skyscrapers. And we also offer customized window treatments for retail stores, auto dealerships, schools, restaurants and more. If you have an idea, we can make it happen! 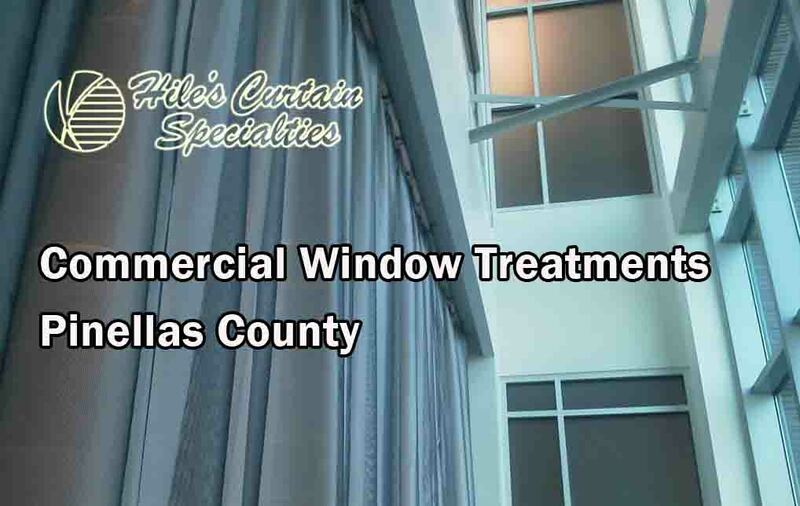 Here at Hile’s Curtain Specialties, we specialize in offering high quality professional commercial window curtains at competitive prices. We are much more than a curtain company and will provide you with the most personalized service here in Florida. 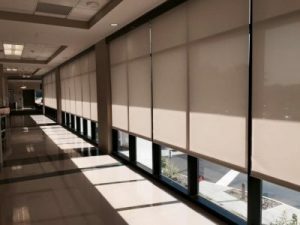 Our custom commercial window treatments are designed for almost any interior window application from healthcare, hospitality and educational to office towers and more. Our commercial window covering solutions are designed to optimize natural daylight, control sunlight and glare, and maximize outside views to improve the indoor environment of your business. We manufacture the very best Custom Professional Window Treatments in Tampa, St Petersburg and Clearwater at competitive prices – Window curtains, swags, cornice boards, draperies, blinds, mini blinds, verticals, roller shade, shutters, & more, it’s Hile’s. 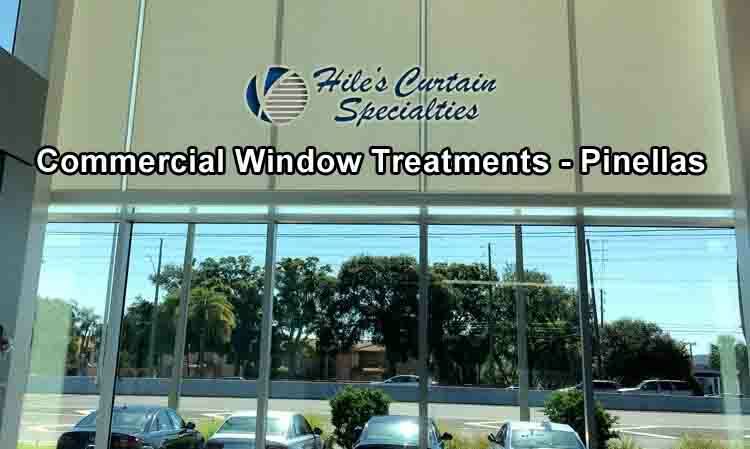 For Over 4 Decades, Hile’s Curtain Specialties has been the leading provider of Professional Window Treatments in Pinellas County.